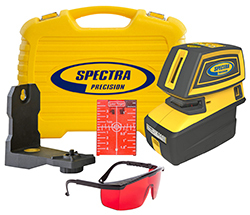 The Spectra Precision® LT52R is the Tool for All Trades. 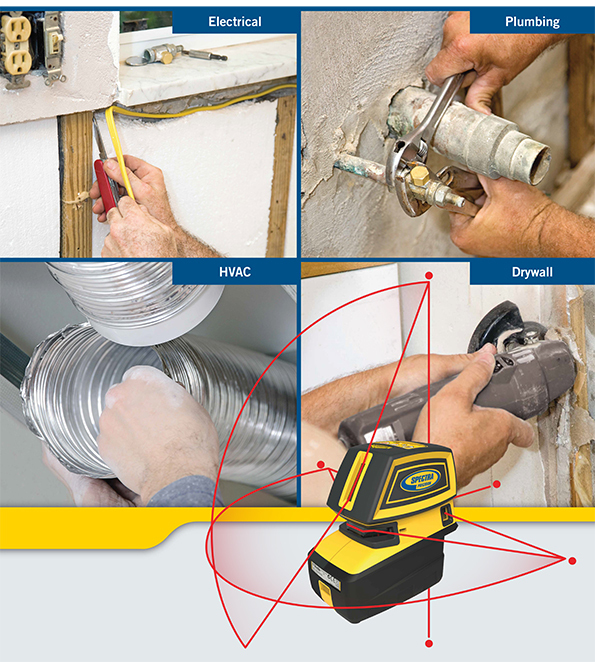 It eliminates the need for a contractor to purchase two tools by combining a 5 beam laser pointer with a horizontal and vertical cross line laser into one product. The versatile, automatic self-leveling laser tool can be used in a wide variety of construction applications. 3 Year Warranty includes Free Instant Over-the-Counter Exchange for the first 2 years and supplemental charge for the 3rd year. Warranty Covers 3-foot drop. Points are brighter - visible up to 200-foot - the brightest! More points, better spots. Longer distance points. Spot quality second to none - spot is concise and round. Equates to a PLS4 + PLS5 in one unit.